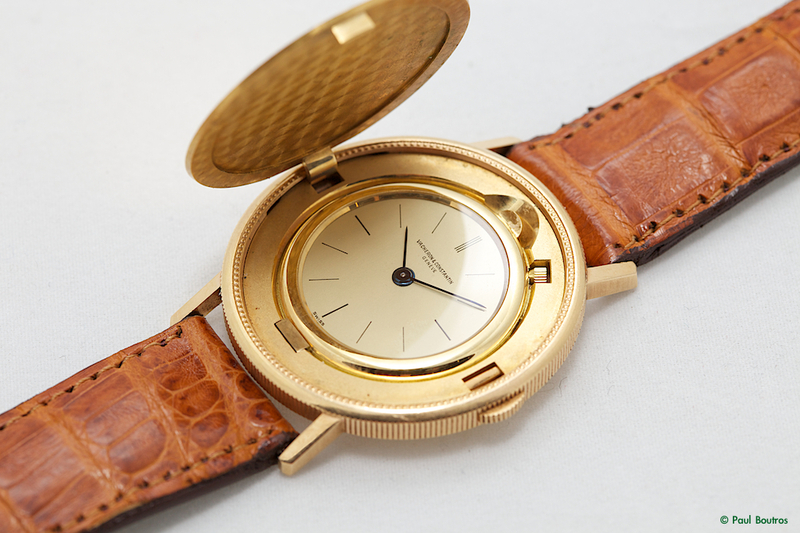 As detailed by Vacheron’s Alex Ghotbi, Vacheron Constantin has a long history of producing watches integrated into coins, going back to approximately 1850, with their first coin wristwatch perhaps produced as early as 1938. 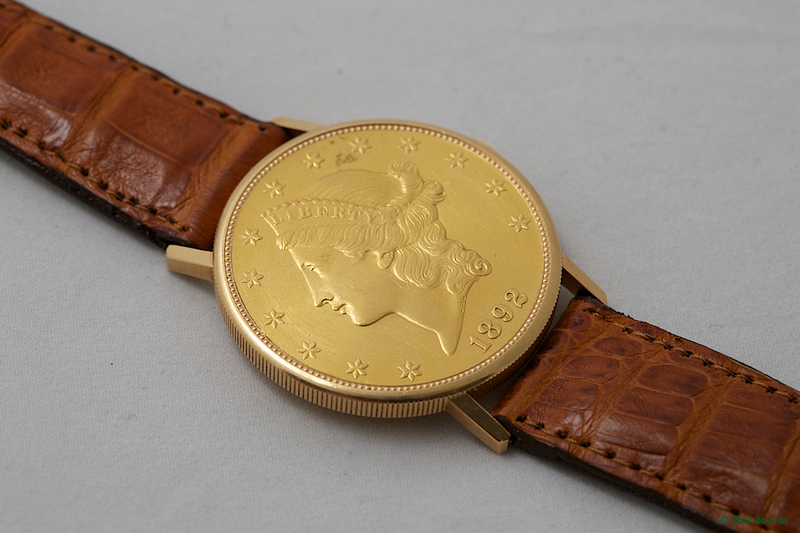 Concealed within this American $20 Liberty Head double eagle gold coin is the world’s thinnest mechanical wristwatch movement in production, the cal. 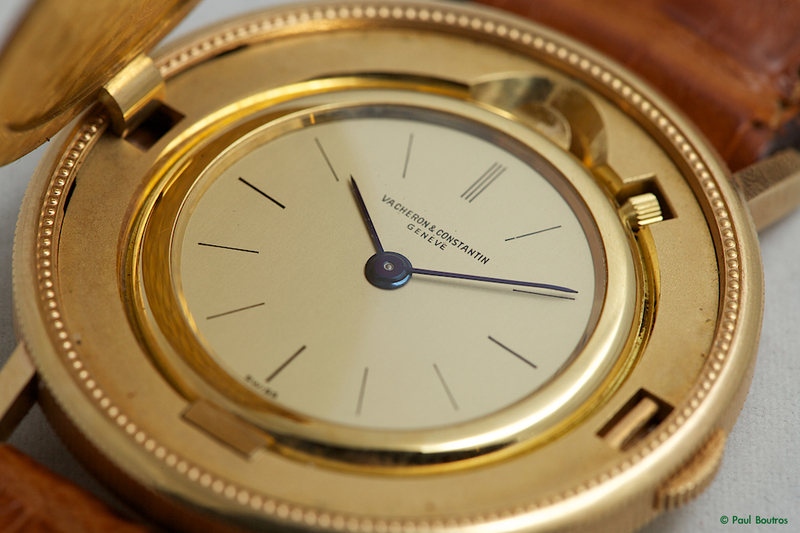 1003 manual-winding movement, measuring just 1.64 mm thick. 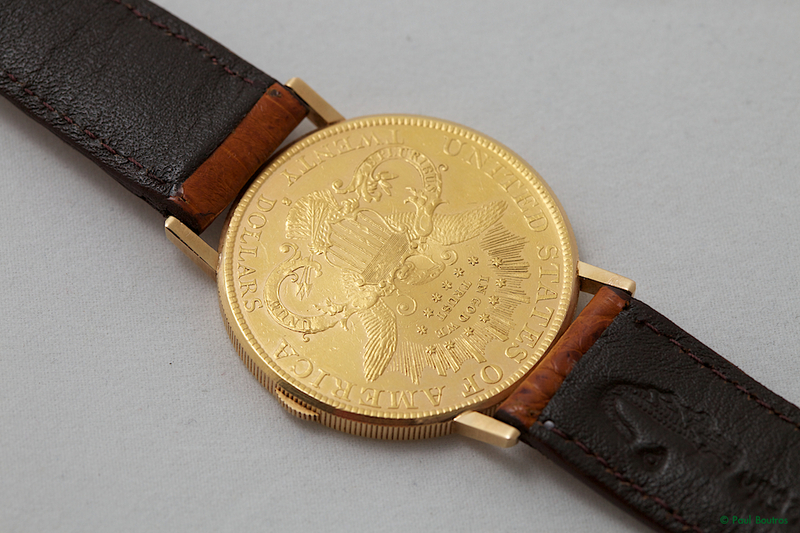 This example was made in 1980. 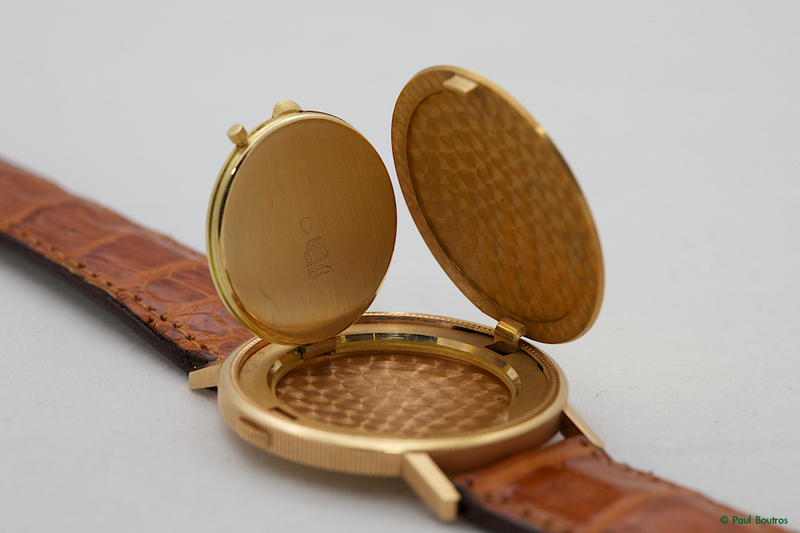 The watch’s case is much more complicated than it appears, as it’s comprised of two cases. 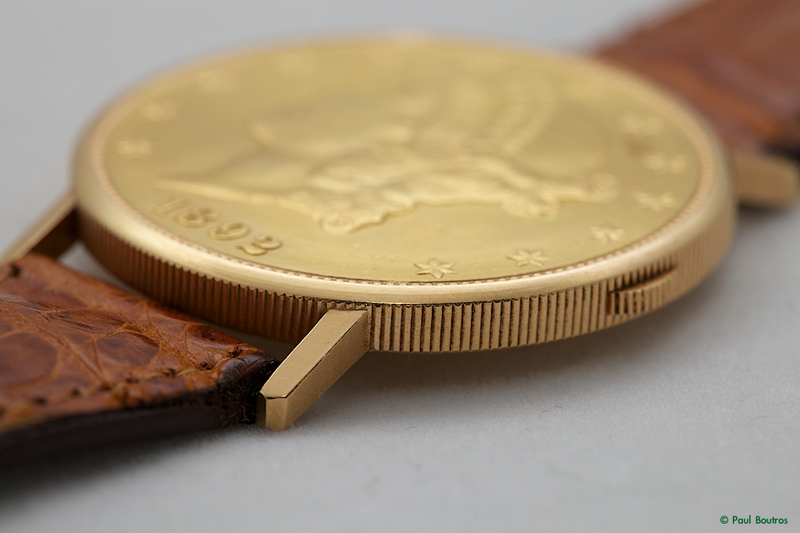 The exterior case, which appears to be formed from a single coin, is in actuality derived from two coins. 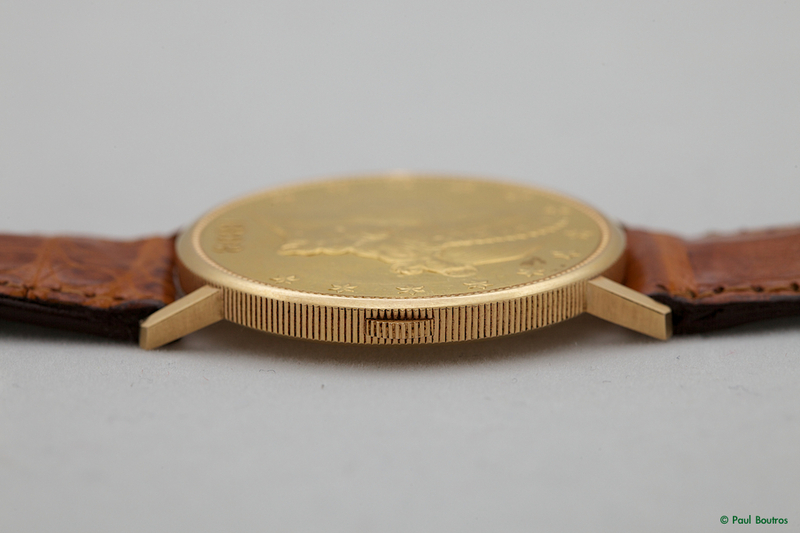 The face is cut from the first coin to form the cover, and the second coin is hollowed out to form the exterior case’s base. 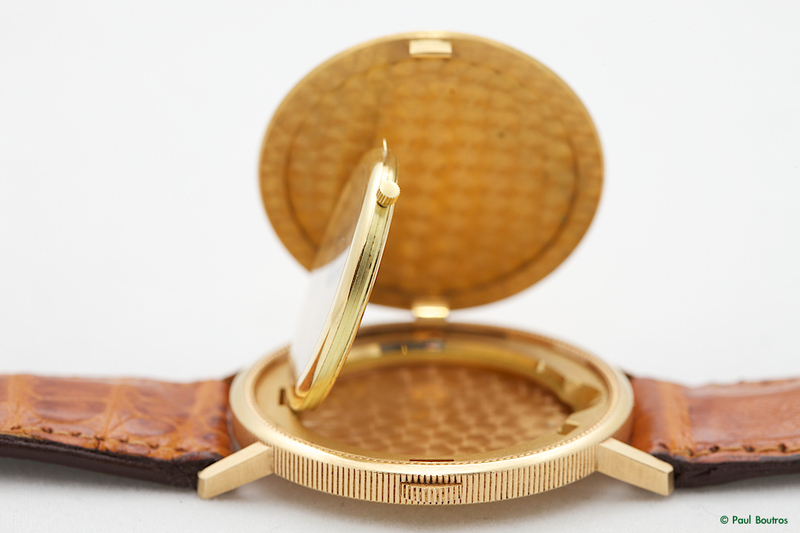 The case measures 35 mm in diameter, with a thickness of 4.5 mm. 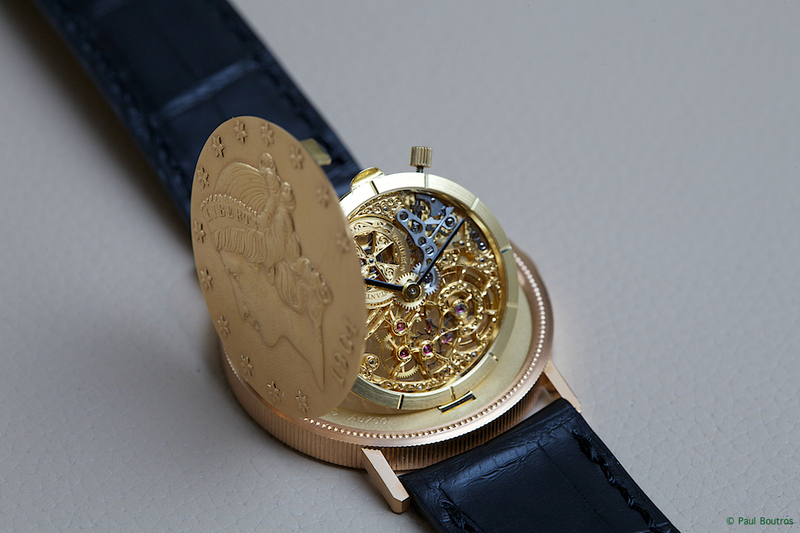 For an in-depth look at Vacheron’s exquisite $20 Openworked Métiers d’Arts watch, please visit this post.